A smiling face with curved eyes and tongue sticking out. 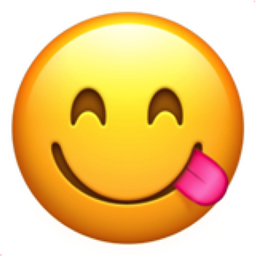 This emoji just finished eating something really tasty and is not scared to lick its lips to devour the last remaining morsels of flavor. That was absolutely delicious food.